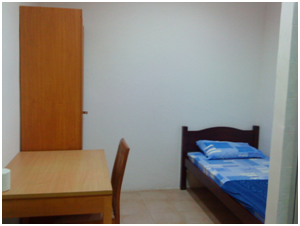 Monthly Rental Amount at S$280.00 per student 6 persons per room, minimum rental period of 3 months each. 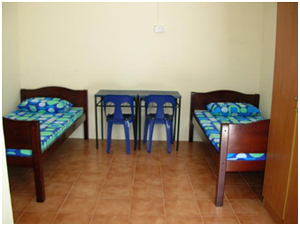 Alternatively, Student can also choose to have their accommodation wherever as there is no obligation pertaining to students’ choice of accommodation. 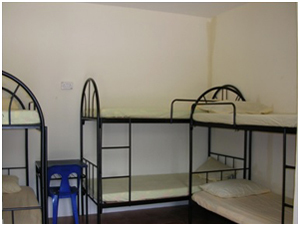 East Lodge is not our partner; they just provide decent accommodation for students. Students are advised to contact them directly and make arrangement. Singapore has gained worldwide reputation for creating a modern economy which is famous for its transparency and entrepreneurial capabilities. Singapore is a multi-religious nation with the population consisting of Buddhist, Taoist, Christian, Muslim, Hindu and other faiths. The country has four national languages but English has been adopted as the medium of communication in order to create a bridge across the cultural barriers. Singapore has always been seen as a garden city with a tropical climate of 27 degrees all year round. Singapore also has one of the most advanced land transport system which has become increasingly convenient since the introduction of the EZ Link card. This is a prepaid card. Commuters simply flash the card in front of card reader and the cost of the trip will be automatically deducted from the card. 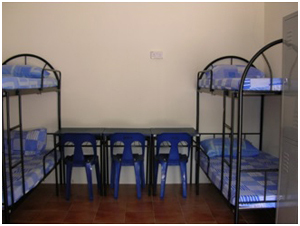 Cost of living in Singapore is competitive and can vary from $750 to $2000 per month, depending upon the lifestyle one keeps and accommodation one avails of different types of accommodation are available on rent, right from houses n Government housing schemes to private residential buildings. Singapore is an educational hub in Asia by its numerous collaborations with top class universities around the world. The education system in Singapore is already famous for producing high calibre students. An increasing number of Asian students are opting to come to Singapore to study because of its close proximity and high quality education. Singapore prides itself in its multicultural heritage and a sense of camaraderie despite its varied cultures and religions. Singapore is looking to a future increasingly marked by globalization and is steadily positioning itself as the region’s financial and educational hub. Singapore is aiming to triple its number of international students from 50,000 to 150,000 in the next 10 to 15 years by encouraging a range of private, specialist and foreign educational institutions to establish themselves in the country. While Singapore is already home to a number of foreign institution campuses offering graduate studies, the economic Development Board (EDB) is hoping to encourage universities from the UK, USA or Australia to open a campus that will offer undergraduates courses, in competition with the three local universities. Singapore Founded by Sir Stamford Raffles as a British reading colony in the year 1819, Singapore gained independence on 9 August 1965 and went on to become one of the world’s most prosperous countries. Singapore has a fairly warm and humid climate, temperature ranging from 30 – 36 degrees Celsius. Singapore population are around 5.31 million reported by the Singapore Department of Statistics and comprises of Chinese 74%; Malays 13%; Indians 9.2% and other ethnic groups 3.8% of the total population. The common languages used in Singapore are mainly English, Chinese, Malay and Tamil. English is the main language being used. People are expected to form queues to board buses, or to wait for service. It is impolite to push ahead of someone who is in the queue before you. In Singapore, loose and light summer clothing is recommended especially for outdoor activities. While in college do note that appropriate attired are required, long sleeves white shirt and black pants. Singapore has very strict laws for severe crimes and foreigners need to make themselves familiar with these laws. Consequences of breaking laws due to lack of knowledge can be tough as the Government treats its foreign residents no differently than locals. It is very important to constantly update one’s knowledge of Singapore laws as to avoid accidental violations. Drug abuse is taken very seriously. The trafficking, manufacturing, importing or exporting of drugs carries a death penalty. Unauthorized consumption also carries a heavy penalty. Please visit the website of the Central Narcotics Bureau at www.cnb.gov.sg for more information. Smoking in prohibited in ICAS Training and Education College premises. The college is a smoke-free college. People under the age of 18 years of age are not allowed to carry or purchase cigarettes. Smoking is not allowed in public buses, taxis, lifts, theatres, cinemas, government offices and in air-conditioned restaurants and shopping centres, bus shelters, interchanges, toilets and other sir-conditional places. Singapore is a clean and green country and littering is prohibited. Dispose of anything can only be done at litter box. Offender of littering can be fined up to S$1000 or issued a CWO (Community Work Order) of up to 12 hours or both. Increased of fine for repeated offenders may be up to S$5000. It is an offence to show false identification to buy cigarettes, alcohol or enter age restricted premises. Purchase of alcohol, cigarettes or entering to club / discos are restricted to those over 18 / 21 years old. Purchase and consumption of alcohol must be of 18 years old and above. People found drunk in public places may be fined. Vandalism is a serious offence. Vandalizing public or private property is punished by a caning and a fine or imprisonment. Singapore is safe city with low crime rate. As many international companies are investing in China and Vietnam, there will be good opportunities for management professionals who are bilingual and familiar with both countries’ cultures. Students are to meet ICA minimum attendance requirement, 90% of monthly attendance rate, when studying in Singapore. Students are not allowed to remain in Singapore once student’s pass expires. Students are to observe immigration regulations at all times. Students are to ensure their name on both passport and their birth certificate is identical. Please proceed to Level 4 of Immigration & Checkpoints Authority (ICA) Building. Original copy of relevant document submitted to ICA earlier. In-Principal Approval Letter (IPA) Issued by ICA. Please read the IPA letter carefully for other documents needed to bring to ICA. Bring along the original police report to ICAS Training and Education College Office to obtain a college letter. Bring original police report and school letter to ICA building Level 4 to report loss of Student’s Pass. Fees of $100 will be charge as replacement fee. ICA officer will advise on the collection date/time. Students must remain enrolled in a full-time registered course and must attend at least 90% of the scheduled course hours and not be absent from the course for 7 days consecutively. Students must not engage in any form of activities that may contravene the conditions (including those stated in the Student’s Pass application form, In-Principle Approval letter and Student’s Pass card) in which a Student’s Pass is issued (e.g. illegal employment). Upon the expiry of the student pass, students must not remain in Singapore after the expiry of the Student’s Pass and the organisation shall inform ICA of his/her means and date of departure. Students only permitted to attend the course after release of the Student’s Pass has been given by ICA. Students must not be registered as a student in any other education organisation/s or course/s other than that indicated in the Student’s Pass. The student pass must be surrendered for cancellation within seven days from the date of cessation or termination of his/her studies or course/s. Each application received is considered on its own merits, taking into account educational, professional and personal experience (please refer to entry requirements section). applications should be submitted at least eight (8) weeks before the commencement date upon receipt of application documents; you are required to pay a non-refundable application fee of S$321.00 to ICASTEC. ICASTEC accepts cheque, cashier’s order and bankdraft for application fee. All cheques, cashier’s order, bank draft are to be made in Singapore Dollars payable to ICAS Training & Education College (ICASTEC) Pte Ltd college account. All applicants will be informed in writing regarding the outcome of their application and electronic copy of the Letter of Acceptance to the email address provided. Full payment of fees is to be made to ICASTEC account one month before course commencement upon receiving the Interim Principal of Approval (IPA).